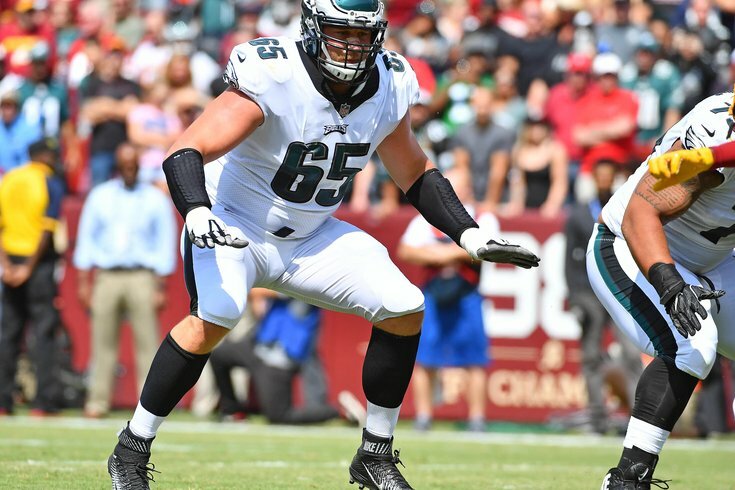 Three months after the Philadelphia Eagles defeated the New England Patriots to claim the city's first ever Super Bowl title, the juicy details just keep on coming from right tackle Lane Johnson. In the weeks following the Eagles' 41-33 victory in Minnesota, Johnson spoke out against the "Patriot Way" that has come to be considered the hallmark of NFL success. Johnson criticized the Patriots for operating like robots during the process of constructing their dynasty under Bill Belichick and Tom Brady. Their players, he said, seemed to have no fun despite all of the championships. Those comments aggravated former Patriots including Tedy Bruschi and Willie McGinest, though current players and coaches largely kept quiet. There may be a good reason for that silence. Johnson made an appearance Tuesday morning on "The Steve Austin Show," the podcast run by the former WWE star and rugged reality television host. The two Texans had a highly entertaining conversation about the Super Bowl and other topics, but the best parts came when Austin addressed Johnson's thoughts on the Patriots. "What's the biggest difference between Philadelphia and the Patriots?" Austin asked. "Here's what pissed me off," Johnson said. "The Patriots, obviously, I respect their coach, I respect Bill, I respect Tom Brady, but just because they won Super Bowls the Patriot Way, is that supposed to be how everybody else is supposed to do the same thing? No, it's not. And that's what I got mad at, the arrogance of them. There was obviously some stuff behind closed doors. Their owner talking s*** to our owner. Bill talking s*** to our head coach before the game. I'm not going to say it, but a lot of s*** built up to that and I just got tired of hearing about it, man, to be honest." Johnson withheld the specifics of whatever was said to Doug Pederson and Jeffrey Lurie, but this is the first we've heard of any trash talk coming their way. For his part, Johnson is already focused on the upcoming year. "We feel good. To hell with expectations," Johnson said when asked about his confidence heading into next season. "In this line of work, man, you have to drown out the media. I mean, do they do good? Yeah. Are they really good at motivating people? They were really good at motivating us last year, ranking us so low. But really, you just try to erase all the memories, even with the Super Bowl. You know, it felt cool for about a month. Then, you know, you find out no one really gives a s*** no more." Nobody other than Eagles fans, sure. Despite the insinuations about New England, Johnson still said he believes there are things the Eagles can take from the Patriots going forward. "I think we can learn from the Patriots, even though I don't like them," Johnson said. "I think you can learn from them. They've had that consistency, year in and year out, for a long time and it's hard. People want to pat you on the back and tell you how good you are. And that's the worst thing you can do, to have that relief factor, kind of pause and think everything's made for you."